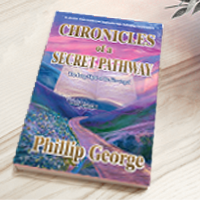 A spiritual adventure which spans two lifetimes. Also a journey through the afterlife which brings wisdom and guidance for navigating this present life. 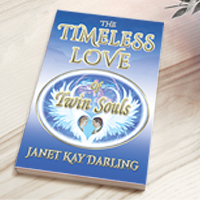 Twin souls, soul mates, twin flames, love and relationships are uniquely explained. 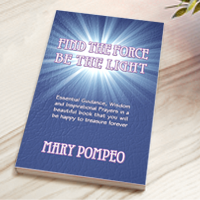 A wonderful handbook created specifically to help anyone cope with the many challenges and trials of life, through self-empowerment and using the power of prayer. Non-religious in its content, this unique book is intended to benefit every soul's journey. 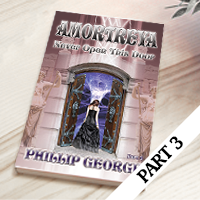 An epic story of witchcraft and the supernatural, spanning many parts. Based around an exclusive boarding school for girls in western Pennsylvania, an illicit séance gone wrong unleashes a whole wave of unexpected consequences. Much more is revealed as result. This is Part 2 of Book 1. The story expands as more unexpected fallout from the unnatural mayhem of the blood-moon night ensues. Secrets can no longer be kept secure and plans are threatened. A fascinating and unusual read. This is the concluding part of Book 1. With the aftereffects of the foray into the forbidden corridor spreading to all corners of the school's community, more strange things continue to happen; and there is much more to come. A spiritual adventure which spans time. A journey through the afterlife brings wisdom and guidance for navigating this life. 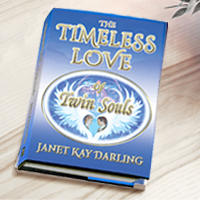 Twin souls, soul mates, twin flames, love and relationships explained in this hardback version. 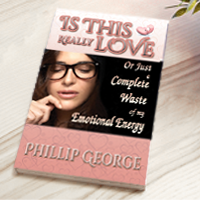 This book provides a unique insight into the whole tricky subject of relationships and your attitudes towards them. Through a collection of ten short stories this book takes you on a journey to assess, with the aid of special techniques, how to view certain situations; while hopefully getting to appreciate why you make the choices that you do. Through gaining a much deeper insight into the mysteries of how we interact with one another, and why, more beneficial and happier relationships of all kinds can hopefully be enjoyed. This is a compelling supernatural mystery with a difference where the story is based around a small, sleepy, historical town in Southern England. This fascinating tale, which spans several parts, takes you into the world of people whose lives are impacted by a series of events which no one escapes the effects of. 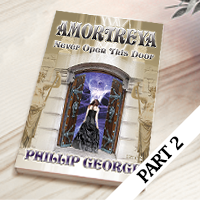 With the help of a very unusual and enigmatic man, the main characters find not only a way to cope with all of the drama and intrigue, but also learn much more about themselves and each other in the process. An unusual title sets the scene for an equally unusual paranormal story. Based around a music academy for talented teenagers and young adults, one of the pupils finds himself drawn into another similar world of musically talented individuals. Through discovering a completely different perspective on so many things, and while moving between these worlds, he becomes ever more aware of something which threatens both worlds. So begins a joint adventure to protect people from both dimensions who come to mean a great deal to him. Both our paperback and hardback books are produced to a high standard, in order that you can enjoy your reading experience to the best possible degree. The text paper of choice, wherever practical, is complementary white. This we feel will provide the most readable contrast, while the typesetting is designed to produce the optimum page count that best sets out the original manuscript. This keeps the cost of production and subsequent resale price to an affordable level, while still presenting a professional layout. As yet, our website listed books do not use recycled paper, although this is something which we would very much like to do wherever practical in the future. We are keen to support the environment in everything we do. In this respect, we have chosen a 'green' website hosting company that actively promotes and undertakes the planting of trees as part of its business policy. This we like very much. Our books are also produced by printing companies who take great care to deliver the best quality possible. They do an excellent job, where each book is handled with a genuine concern for the end product; and not regarded as just a profit making object on a production line. All this is important to us as we strive to ensure that the 'energy' which comes with each book is of a beneficial and complementary nature to you. This may, on the face of it, seem to be an odd way to describe the physical characteristics of a humble book, but from reading what is available to you here then you will learn much more about this very important aspect of our lives. Please Note : Some of our books are produced by third party suppliers, mainly for the reasons of geographic locations. Being heavy items to post, it's not possible for a small UK or USA based company to send books to places like Australia and New Zealand; or even South Africa. As such, we depend on printers in those, and other places, to print our books for us, and then supply the book stores. Whilst we hope that they do the best job in reproducing our titles, we have no way to inspect the finished product. Whatever you need to bring into your reality ( your life ) only ever requires your full attention and heartfelt desire in order to achieve it. This is because you are the force, the energy, which creates your reality, and so you naturally manifest whatever your intention is focused on. The power to create is yours to command, but the way to best use this truly magical gift is to become fully aware of its presence in your life in the first place. This is the best reason to read, but it also requires you to be discerning about what books you choose. Through reading well-written works of all kinds, you inevitably expand your awareness as authors share their thoughts, ideas and experiences with you. On their journeys to find themselves, you get to gain a much better appreciation of your own; and so you come ever closer to a clearer and deeper understanding of who you truly are. Reading what other people have written is the major means by which humanity has evolved to its present state. People of wisdom and foresight, from all corners of the globe, have shaped our thinking by sharing their words with us. They have led us out of the darkness and into the light of limitless possibility, while also offering us a sense of purpose. They have kindled our imagination as we expand our searches into the mysteries of this life. They set forth the pathway of positive intent while allowing us to see more and more of it. But also be aware that negative thinking and attitudes are like throwing water onto a fire. You can create negatively just as easily as you will positively. Awareness is all. Read to be more aware, more awake and better informed. Make sure to enjoy your life to its fullest.